Thank goodness it’s Friday. Fall is in the air and it’s time to get on the river! But first, let’s give our steelhead IQs another booster shot with a new Science Friday post. This week we have a guest writer and scientist, Colin Bailey, a PhD student studying fisheries science at Simon Fraser University under Jonathan Moore (Moore is one of the truly great scientists and people currently studying salmon and steelhead). Bailey’s new paper focuses on steelhead and includes an analysis of how pink salmon can influence steelhead smolt age. As our Wild Steelheaders United followers are aware, nutrients provided to the freshwater environment by salmon are important to species like steelhead that often spend multiple years in freshwater before going to sea. However, there are complex factors that affect fish in one decade but may not have the same influence in another. The Keogh River Steelhead Population Dynamics project is the longest running steelhead monitoring project in British Columbia, Canada. It is currently funded (and has been for quite a while) by the Habitat Conservation Trust Foundation. Smolt and adult monitoring has taken place using fish fences, angling, and a resistivity counter (a way of counting fish by detecting the drop in electrical resistance as fish pass over low energy electrical current) since 1972. Data are collected in a joint collaboration between InStream Fisheries Research Inc., the Ministry of Forests, Lands, Natural Resource Operations and Rural Development, and Fisheries and Oceans Canada. So it truly is a collaborative effort. Owing to that effort, there is a 4-decade dataset on the age, size, and abundance of steelhead adults and smolts, as well as pink salmon spawning abundance, and other co-occurring migratory fish. A couple of years ago, my PhD supervisor (Jonathan Moore) and I were given the opportunity to work with the Keogh River dataset in collaboration with Douglas Braun, John Reynolds, Bruce Ward, and Trevor Davies. Douglas Braun had approached us with a question that Don McCubbing had begun exploring before he passed away. Don’s question was: Is pink salmon spawner abundance associated with steelhead smolt size, age, and abundance? We discuss the results below. 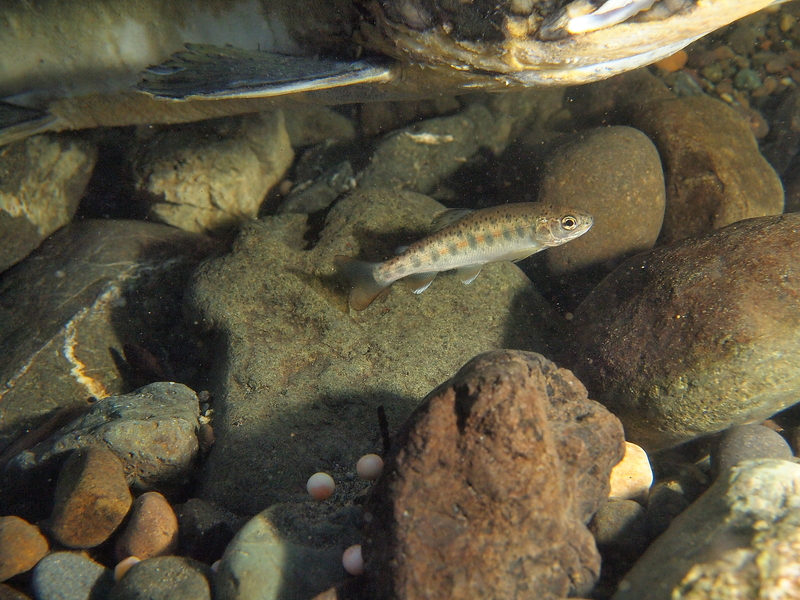 First, juvenile steelhead may migrate to sea after spending between 1 – 5 years in the Keogh River. However, we discovered that following large runs of pink salmon or artificial nutrient addition, juvenile steelhead often migrated to sea at younger ages. Second, smolts also tended to be larger for their age following artificial nutrient addition and/or years when it was warmer. Lastly, smolt abundance was also related to other factors. For example, the number of smolts per spawner decreased when spawner abundance was higher, suggesting there was strong evidence for density dependence [something Wild Steelheaders United has covered extensively in previous Science Fridays]. Further, smolt abundance increased in relation to nutrient addition and lower air temperatures prior to 1991, while greater pink salmon abundance was associated with greater juvenile steelhead production after 1990. Although these results come from a single stream, they suggest that steelhead life-histories are quite plastic and can change as environmental conditions shift. For instance, it is possible that larger returns of co-occurring pink salmon may increase the production of juvenile steelhead. However, it is really important to emphasize the complexity of these effects, and the type of stream they are derived from. As previously mentioned, pink salmon only became important to smolt abundance after 1990, which is when the steelhead population started to decline in size. And, while there may be concerns with artificial nutrient addition, the Keogh makes an excellent stream for such a study. The Keogh River is nutrient-poor because of its geology and climate, so added nutrients are unlikely to result in low oxygen conditions or excessive algae growth, which would be problematic for the fish. 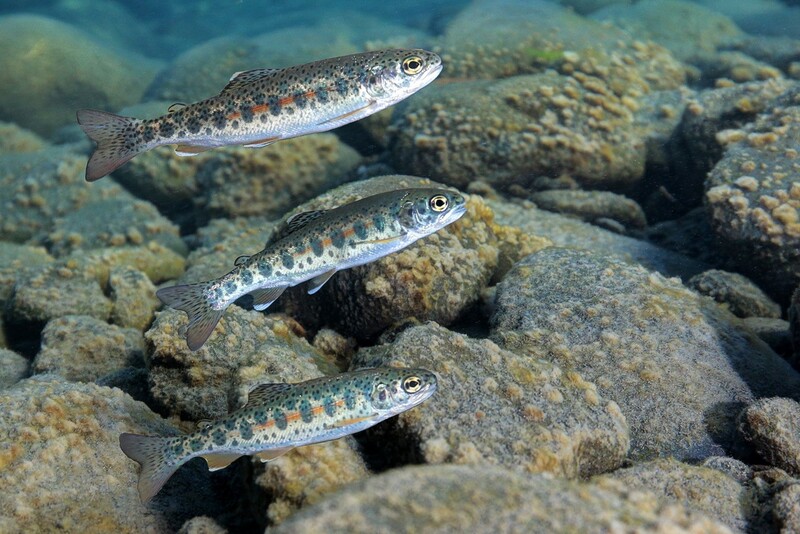 And there are no resident rainbow trout in the system, so increasing the amount of nutrients available to juvenile steelhead is unlikely to cause those fish to change from a migratory life cycle (i.e., steelhead) to a non-migratory life cycle (i.e., resident rainbow trout). 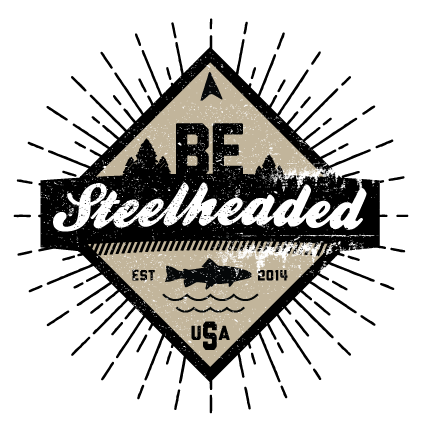 We at Wild Steelheaders United greatly appreciate it when leading researchers like Colin share their results and thoughts with us. Our take on the implications of this particular analysis on wild steelhead is two-fold. First, nutrients are important to fish and the insects they rely on, and the addition of nutrients can help increase the production and growth of juvenile steelhead smolts. Second, steelhead life histories are very flexible, and adding food and increasing growth can shorten the time they spend in freshwater before smolting. Managing steelhead populations requires not only thinking about steelhead, but also about other species that provide nutrients and food sources. This is one reason we try to share research that helps expand awareness of, and potential management tools that derive from, this topic — and why it will be challenging to fully recover wild steelhead runs unless we also recover their food sources and habitat.